Home / Estate Planning / What is Reasonable Compensation for a Trustee to Settle a Trust Estate? What is Reasonable Compensation for a Trustee to Settle a Trust Estate? 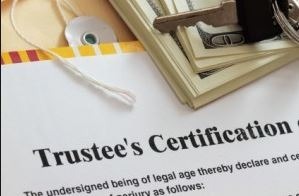 In most cases the language in a Trust simply states that the Trustee shall be entitled to “Reasonable Compensation” without stating a specific dollar or percentage. The degree of difficulty and novelty of the tasks required of the Trustee. The responsibilities and risks involved. The amount and character of the Trust assets. The skill, experience, expertise, and facilities of the Trustee. The quality of the Trustee's performance. Time devoted to administering the Trust. Time constraints imposed upon the Trustee in administering the Trust. Nature and costs of services delegated to others by the Trustee. The reasonableness of the total fees paid to all Trustees when more than one Trustee is serving. Assuming the Trustee does not delegate substantial duties to an outside paid professional (other than those tasks that would typically be delegated such as preparation of tax returns, legal counsel, investment advisory services, appraisals and other valuations, for example), the term “Reasonable Compensation” is generally determined to be the amount or percentage that is typically charged by a professional bank or other Trust administrator in the same geographic location where the Trust will be administered. Most professional Trust Companies (Administrators) will typically charge between 1% to 2% for a Trust estate that is settled within one (1) year, or 1% to 2% annually, based on the net value of Trust Assets under Management. This would be a typical benchmark for individual Trustees to base their Trustee fees on and most Courts uphold a minimum annual Trustee fee of 1% to be reasonable by default. An exception to this might be where the Trust owns real property that stays within the Trust for an extended number of years. It could be that there is a high value property that does not generate sufficient income to justify an annual Trustee fee of 1% to 2%. Think of the home where your minor children are being raised by your named guardian or highly mortgaged investment property with little cash flow. In these cases a separate Trustee fee schedule for managing the Real Estate portion of the Trust assets should be considered, based on the time, skill needed, and other factors relative to the specific property. Give written notice to all qualified beneficiaries of the proposed payment of compensation if the annual amount of compensation exceeds one percent (1%) of the principal value of the assets of the Trust on the last day of the Trust accounting year. In the event any of the qualified beneficiaries of the Trust object to the proposed Trustee compensation, they should be given the opportunity to object in writing within a specified period of time, and state the reasons for their objection. The Trustee may then seek to resolve any concerns privately with the beneficiaries, or may seek other resolutions such as petition to the court or arbitration. In lieu of giving written notice of each proposed payment of compensation under subsection (a) of this section, the Trustee may give written notice to all qualified beneficiaries of the amount of compensation to be paid to the Trustee on a periodic basis or of the method of computation of the compensation. The Trustee shall not be required to give additional notice to the qualified beneficiaries unless the amount to be paid to the Trustee on a periodic basis or the method of computation of the compensation changes. Of course, if any qualified beneficiary should object to the stated compensation, it is generally best to resolve this issue with open dialog and communication first, to try and avoid potentially costly litigation. This memorandum should not be construed as legal or tax advice. YOU ARE KING! AND THANKS SO MUCH FOR SPENDING 2 HOURS AND 14 MINUTES ON MY BEHALF, BUT WHO’S COUNTING? INFORMATION LIKE THE ABOVE YOU SHOULD CHARGE FOR? IT’S AMAZING HOW MANY PEOPLE DON’T HAVE ANY IDEA ABOUT THE “REASONABLE” FEE A TRUSTEE SHOULD CHARGE ALTHOUGH ITS IN MOST TRUSTS INCLUDING OURS, BUT CASE AND POINT IS WHO READS THEIR TRUST? I BELIEVE THIS SHOULD BE PART OF THE SETTLING THE ESTATE INSTRUCTIONS, CALCULATIONS, LETTERS TO BENEFICIARIES, TRUST EIN# ETC. AND SOLD TO THEM AS AN ADDITIONAL SERVICE WHEN THE SUCCESSOR TRUSTEE DIES! Thanks, Greg. This is good information and answers the question I have heard many times. I have been a trustee for my mothers CRUT for 4 years. The trust is being disolved upon my mother’s death. I have not requested trustee fees for 4 years. Can I be compensated retroacively for each year (4 years) for my services before the benificiaries (Charities) receive their money? I was considering 1% per each year of the total end of year value. If the Trust provides for payment of reasonable trustee fees and you have not thus far collected them, then yes, you typically may do so back to the date you became acting Trustee. 1% is a reasonable fee by general consensus. Generally you should document the value of the Trust as of the date you became the acting Trustee. Your percentage should be based on that for the coming year. Each anniversary, do the same thing. KEY FAMILY TRUST ROY L. KEY AND SARA C. KEY I SPOKE TO MR GORTON IN TENNESSEE PERTAINING TO WHAT TO DO PERTAINING TO OUR SON–CHAD COPELAND KEY–DUE TO OWING COURT FUNDS ETC. I WANT TO KNOW HOW MUCH THE TRUSTEE CHARGES—AFTER BOTH MY HUSBAND AND I PASS AWAY. WHEN ROY OR MYSELF–(SARA COPELAND KEY) ARE ALIVE OUR ESTATE STAYS IN THEIR OWNER SHIP. IT GOES INTO THE KEY FAMILY TRUST TO BE FOR PAYMENT OF THINGS OUR SON MAY NEED. QUESTION? MAY WE NAME WHAT WE AGREE FOR PAYMENT FOR OUR SON?? AND HOW MUCH DO WE PAY THE “TRUST PROTECTORS? I AM LOOKING FORWARD TO LEARNING AND KNOWING WHAT AND HOW TO DO, I STARTED THINKING AND FEEL THESE ARE THINGS TO CONSIDER WHILE LIVING. WILL THIS STAY OPEN WITH EITHER MY HUSBAND OR MYSELF–WHILE LIVING? THEN DOES IT GO INTO AN “IRREVOCABLE” AFTER THE DEATHS OF THE TWO OF US?? HOW WILL YOU–OR ATTORNEY MR. GORTON BE NOTIFIED OF OUR DEATHS. REALLY THINK IT WILL BE GOOD TO KNOW MORE INFORMATION. In general, if your beneficiaries owe other people money, their creditors cannot reach into your trust to be paid back. If your son receives all or part of his inheritance directly (now in his hands), then creditors could potentially come after those funds. I could be advisable to delay a distribution for a time if creditor issues, divorce or other financial claims are pending against a beneficiary. If I understand your question, you may decide exactly how your estate is to be distributed to your son, or you may decide that trust assets are to be used for his benefit without actually distributing money directly to him. It may be that he is receiving public benefits assistance and outright receipt of inheritance could cause reduction or elimination of those benefits. Your trust can be a valuable tool to maintain the best of both worlds. A successor trustee is entitled to reasonable compensation for serving as trustee. Typical trustee fees are in the neighborhood of 1%. Typically a revocable living trust does become irrevocable after the death of the person or persons (aka married couple) die. This just means that people that come after you cannot change your wishes, but while you are alive and competent, you may make changes to your living trust whenever you like.